I am a board-certified radiologist specializing in breast and body imaging. 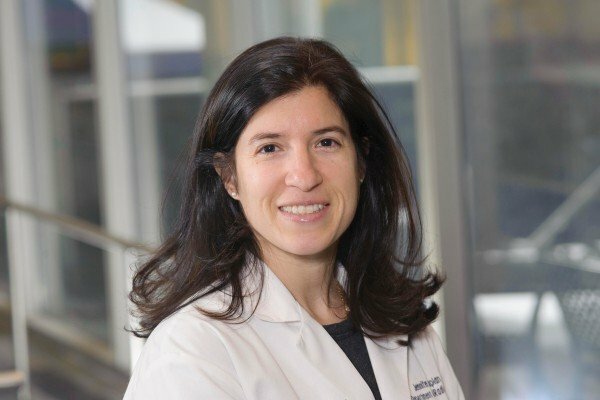 I joined MSK in 2001 after completing a residency in diagnostic radiology at New York-Presbyterian Hospital and a fellowship in breast and body imaging at MSK. As a member of the Breast Imaging Service, I perform screening and diagnostic breast imaging, including mammography, ultrasound, and breast MRI. I am an expert in all types of breast interventional procedures. These include stereotactic, ultrasound-guided, and MRI-guided biopsies, as well as radioactive seed and wire localizations. I am also a member of the Body Imaging Service, for which I interpret body CT scans and plain radiographs. I am involved in research with my colleagues in radiology, surgery, pathology, and medical physics. We recently published papers on how hormones influence breast MRI results and why high-risk lesions found by percutaneous core needle biopsies need to be removed. I enjoy teaching Weill Cornell medical residents and breast fellows as well as many visiting observers. I teach them how to interpret images, perform biopsies, and interact with people with cancer in a thoughtful and caring manner. I enjoy working closely with my colleagues in the Breast Service, as well as other surgeons, medical oncologists, radiation oncologists, and pathologists. Together, we give high-quality compassionate patient care. Visit PubMed for a full listing of Dr. Kaplan’s journal articles. Pubmed is an online index of research papers and other articles from the US National Library of Medicine and the National Institutes of Health.